The cafe in the Hotel Lafayette—three townhouses patched together on Ninth Street and University Place in the 1880s—must have been wonderful. Why else would so many customers write about it or depict it in their art? 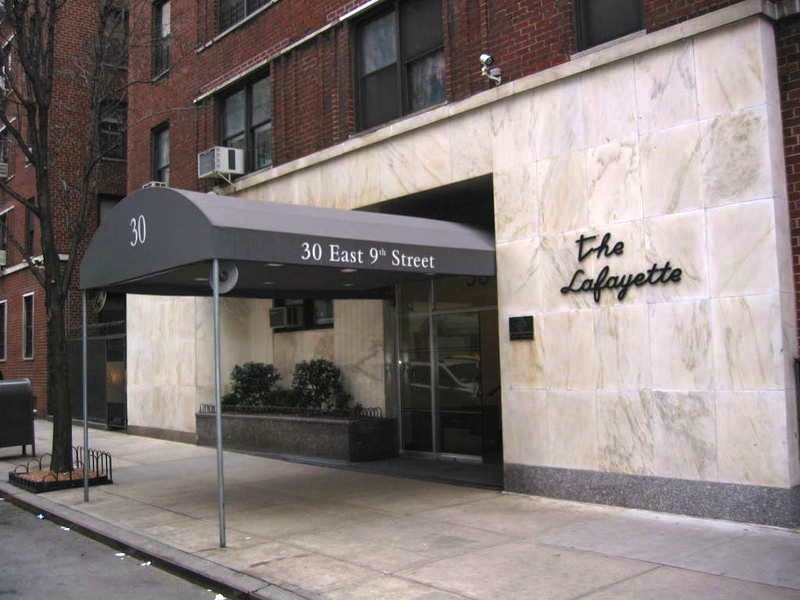 “In the café of the Lafayette, the regulars sit and talk,” wrote E.B. White in 1949 in Here Is New York. “It is busy yet peaceful. Nursing a drink, I stare through the west windows at the Manufacturers Trust and Company and at the red brick fronts on the north side of Ninth Street, watching the red turn slowly purple as the light dwindles. 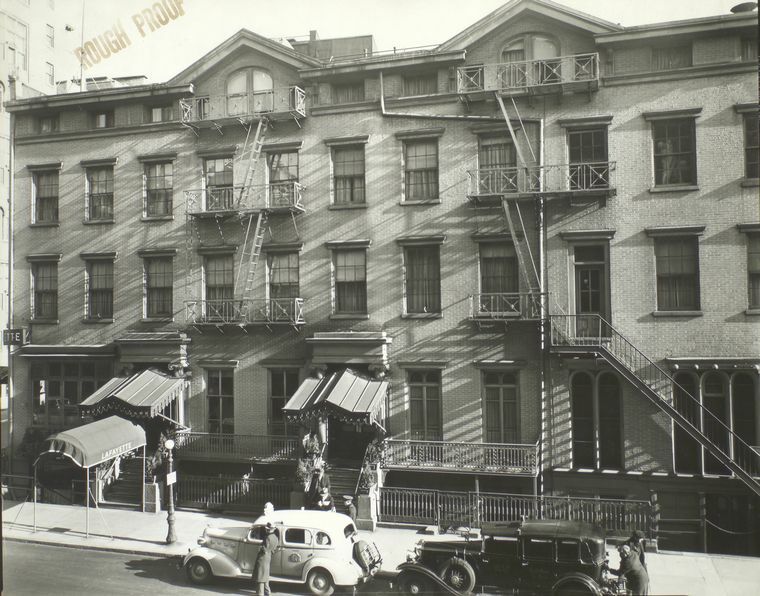 On August 24, 1953, Dawn wrote in her diary, “Lafayette is down.” That was the day the hotel was demolished, and an apartment building (called The Lafayette, of course!) put up in its place. This entry was posted on October 18, 2012 at 4:56 am and is filed under Bars and restaurants, Music, art, theater, Poets and writers, West Village. You can follow any responses to this entry through the RSS 2.0 feed. You can leave a response, or trackback from your own site. 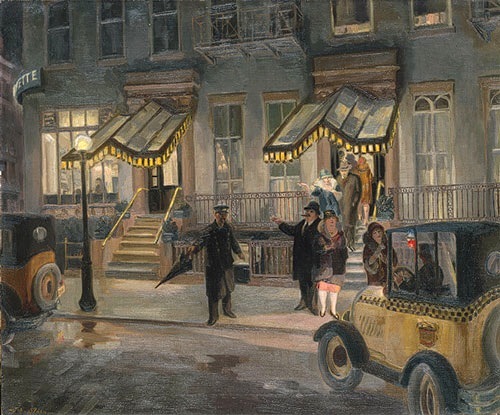 My Mom, who wanted to write but never published, used to take the train from Springfield MA to NYC, and sit in the lobby at the Algonquin and at Cafe Lafayette. She’d just gotten out of high school.